A polar bear managed to get on one of the last ice floes floating in the Arctic sea. 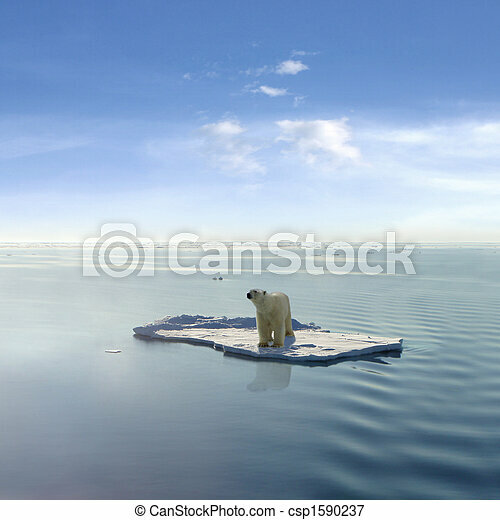 Due to global warming the natural environment of the polar bear in the Arctic has changed a lot. The Arctic sea has much less ice than it had some years ago.